Join us February 28, 2018 when we celebrate our 45th anniversary with a wine tasting program and cake. Soroptimist International of Saddleback Valley program meeting January 25 will have an informative presentation on Eagle Credit Unions program called Bite of Reality. Bite of Reality is a two-and-a-half-hour, hands-on simulation that appeals to teens while giving them a taste of real-world financial realities. Teens are given a fictional occupation, salary, spouse and family, student loan debt, credit card debt, and medical insurance payments. The teens then walk around to various table-top stations to “purchase” housing, transportation, food, clothing, household necessities, day care, and other needs. This interactive activity teaches teens how to make financial decisions and gives them a better understanding of the challenges of living on a budget. Teens will have to deal with a pushy “car salesperson” and a commission-based “realtor,” and weigh their wants versus their needs. There’s even a “Fickle Finger of Fate” that will give some of the students unexpected “expenses” or “windfalls”—just like in real life. Community leaders are welcome to come and learn about this program to determine if they would like their girls to participate in Bite of Reality. 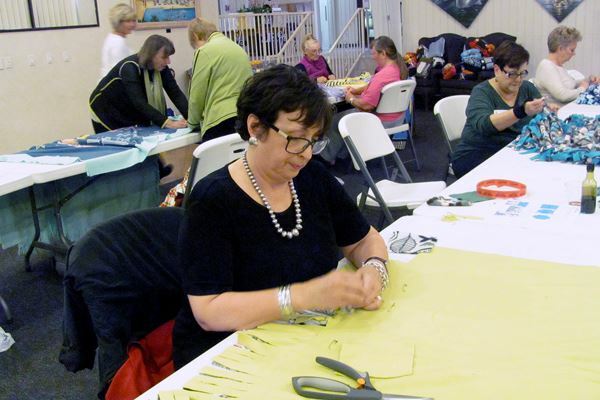 January 28, 2016 join us at the Lake Forest Beach and Tennis Club at 6:30 PM for our 3rd annual making of "no Sew" fleece blankets. Bring your scissors-it's all the supplies you will need. We will teach you how to do it. Blankets will be donated to various charities such as; South County Outreach, Breast Cancer Solutions, Camp Pendleton families in need. 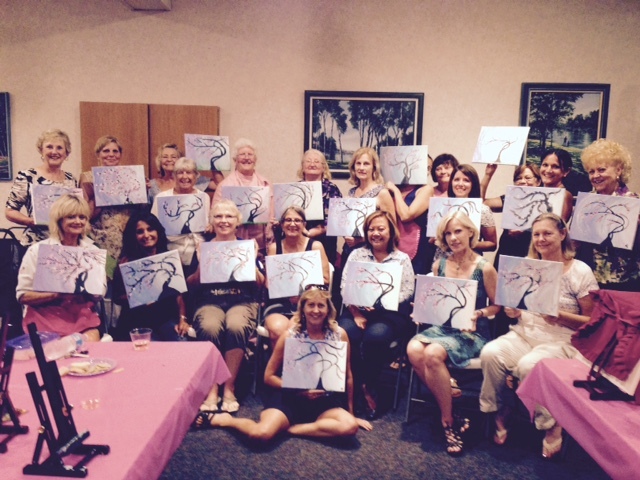 We will all paint the same 11x14, no special talent or skill needed. The cost is $40 and you take home your 11x14. Wednesday, April 22, 2015, Program Meeting is motivational speaker Leisa Reid presenting a program "Does your thinking limit your success". Come prepared to be challenged on how you see opportunities. Wednesday, February 25, 2015, Program meeting. Edward Jones Financial Advisor, Diane Wegener of Laguna Beach is delivering a presentation titled "Social Security: your questions answered". The presentation will tackle the following questions: How does Social Security fit into my retirement income, when should I start taking benefits and what about taxes. Our Annual Blanket Making Event was a HUGE SUCCESS!!!! 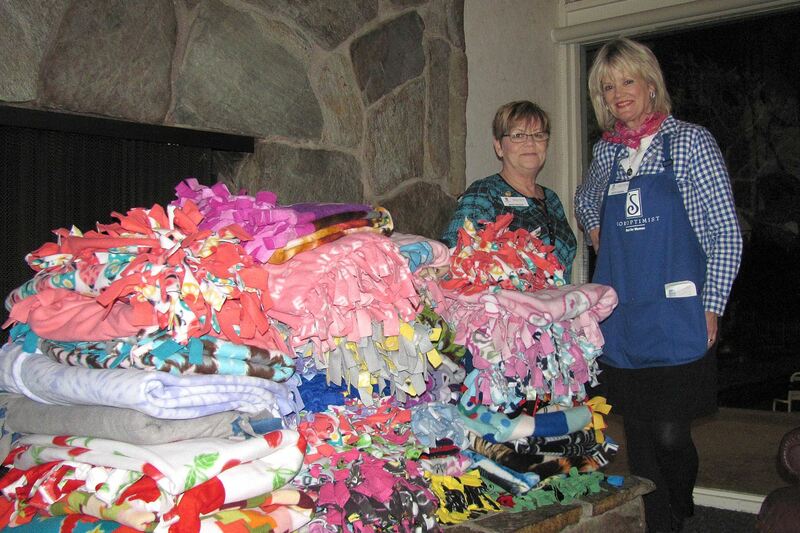 Wednesday 11/13/13 Soroptimist International of Lake Forest made “no-sew” fleece blankets. 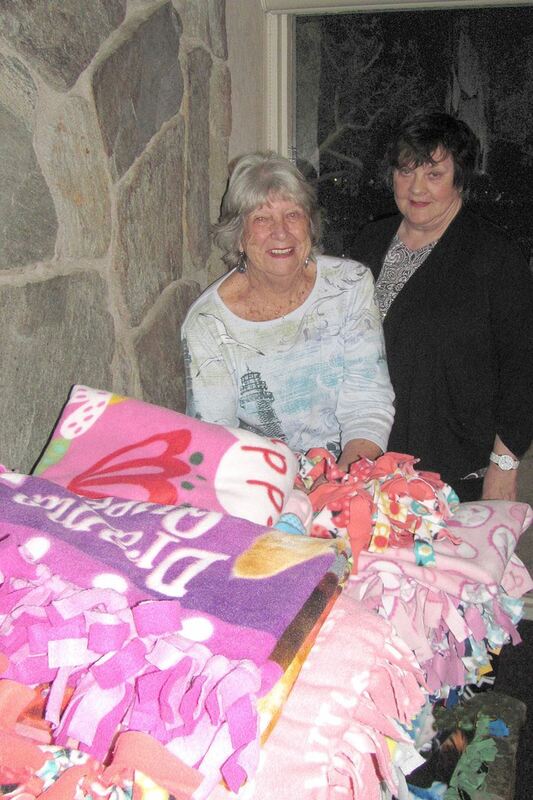 These blankets were made at our program meeting by thirty friends, relatives and neighbors of our Soroptimist club. TWENTY blankets were made by the group and will be donated to those in need right here in our local community. The size of the group that turns out to make the blankets is growing each year and everyone is already looking forward to next year. It is always very heart warming to make something with the hopes of making a difference. Thank you to all our guests and members who made this a wonderful event. SOROPTIMIST HOLIDAY PARTY WAS A FUNDRAISER TOO!! !